A Gonja man-Fusseni Azure who lives at Adum in Kumasi and took up the challenge to cycle 385.7 km from Kumasi to Tamale in a win all bet with friends has realised after 19 days of travelling 109 km that he was going the wrong direction. Kumasi-based Fox Fm reported that Azure placed a bet with a couple of friends that he can cycle from Kumasi to Tamale within 30 days and 10,o00 GHS was placed on it–5000 from him and the other from his friends. 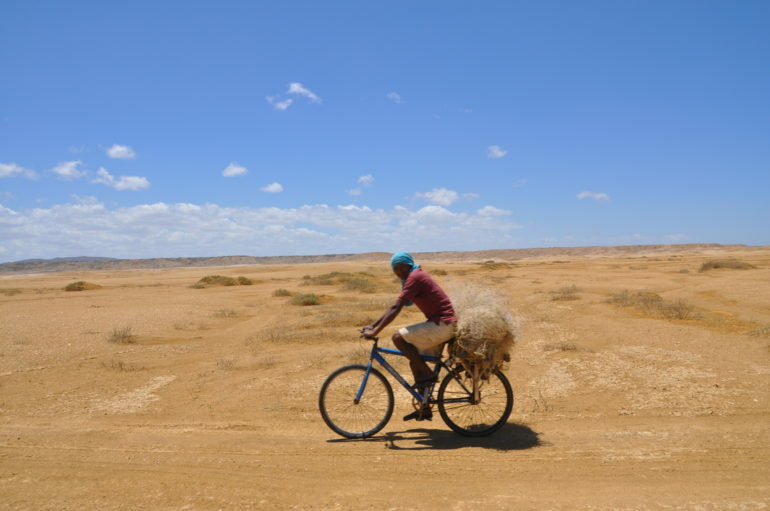 Apparently, after 19 days of cycling for about 14 hours each day, Azure realized he was going the wrong direction when instead of reaching Techiman, he found himself close to Nkwakwa–on the way to Accra. The bet has now been called off and Azure who boarded a car back to Kumasi has lost the money–though he wants to start it all over again, this time with the help of a compass.